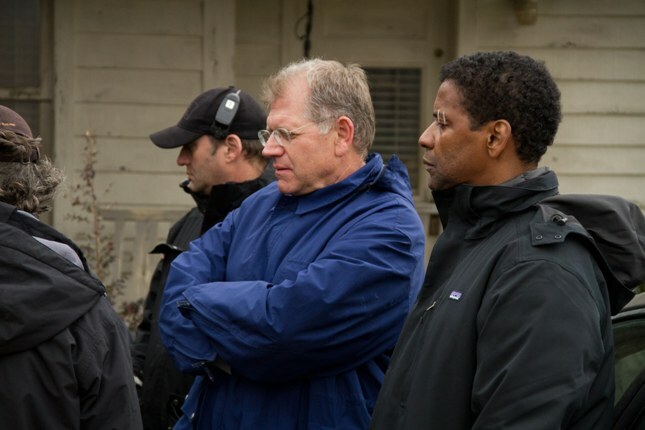 FLIGHT, starring Denzel Washington, begins as thriller, then morphs into serious drama. The closing night film at the 50th New York Film Festival (NYFF 50), it is entertaining, interesting, and exciting. A pilot, after a long night sleeping with a stewardess, with little sleep, lots of alcohol and some cocaine, steps into the cockpit of a commercial airliner, braves his way up into the sky through rain and turbulence, then brilliantly saves almost all the "souls" on board when the airplane malfunctions and begins to fall out of the sky. About twenty years ago, walking past the open cockpit of a commercial airplane, when that was still possible, the pilot invited me inside to look around. At the time, I was inventing and developing a multimedia computer game and, impressed by the lights and dials and switches and style, I remarked that this cockpit would make a great video game. Not missing a beat, the pilot replied immediately: "Only when you win." 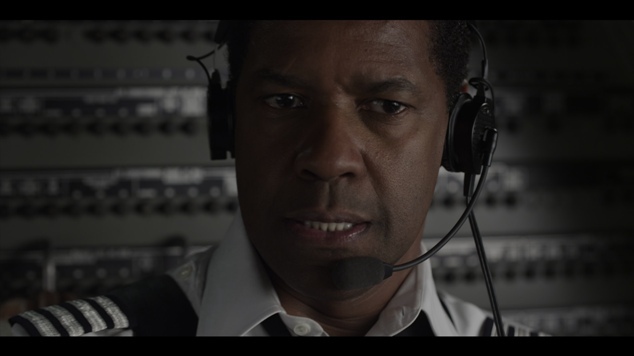 I thought of this again for a moment when the idea of the cockpit as a video game arose in FLIGHT, the new Denzel Washington vehicle (pun intended), closing the New York Film Festival 50th season. But my pilot's remark actually goes deeper, and could be the tagline for the whole film, which describes how a pilot (a super-pilot actually) flying under the influence of drugs and alcohol lands a crippled airliner with consummate skill, saving almost all the "souls" (as they are called in the film) aboard, making him a hero and a potential felon at the same time. The "soul" of the movie is the character of Whip, and the dynamic is the conflict between the role of Whip as a hero, for his spectacular accomplishment in saving the lives of almost everyone on the plane; and the dark side of his life with drug and alcohol abuse, which has repercussions, as flying under the influence is a felony. The first part of the film describes the flight, and it is truly thrilling to watch. And it is extraordinary filmmaking, with every detail of the complex effects expertly executed. The second part of the film describes Whip's personal demons, manifested not just in his drug and alcohol abuse, but in all his behavior. Denzel gives full life to all his character's dark shadings, in a terrific performance. The last part of the film provides a fine resolution to the plot but, as suggested by the conspicuous use of the word "souls" for the passengers, tries for too much spirituality with too little good writing. In FLIGHT, the film's plot ends in the most honest, natural way, I think. The resolutions is almost predictable -- but in a good way -- because it seems clearly determined by the situation. However, the speeches (specifics would be spoilers) that are given to Denzel's character seem to me completely inconsistent with his nature (as well as being very general, unoriginal, and unnatural); and could only be justified if he were being as insincere and dishonest then as he had been throughout the film. However, the way the film is made suggests that the character is supposed to be sincere. Note: Last year at NYFF, the recurring theme seemed to be catastrophe, with two megadisaster films: 4:44 LAST DAY ON EARTH -- a messy film about the end of life on earth -- and MELANCHOLIA -- a brilliant, completely controlled film about the end of life on earth and, for good measure, the end of all life in the entire universe as well. This year the repeated theme -- in the Opening Night film LIFE OF PI and the Closing Night film FLIGHT -- seemed to be a kind of lazy spiritualism. Two more mostly irrelevant notes: First, it should be noted, for the record, that after TRAINING DAY and UNSTOPPABLE, Denzel here completes the trifecta... of planes, trains, and automobiles. FLIGHT is an entertaining, exciting film that begins as action and continues as drama. Denzel is excellent, and the (distinguished!) supporting cast is also terrific. The early airplane action scenes are breathtaking. CLASSNOTES INTERACTIVE PERFORMANCE FOR KIDS 3-6!